"In her new book of poetry & art “SHE! The Restless Streak” Meena Chopra reveals the vibrant female force in the human element. 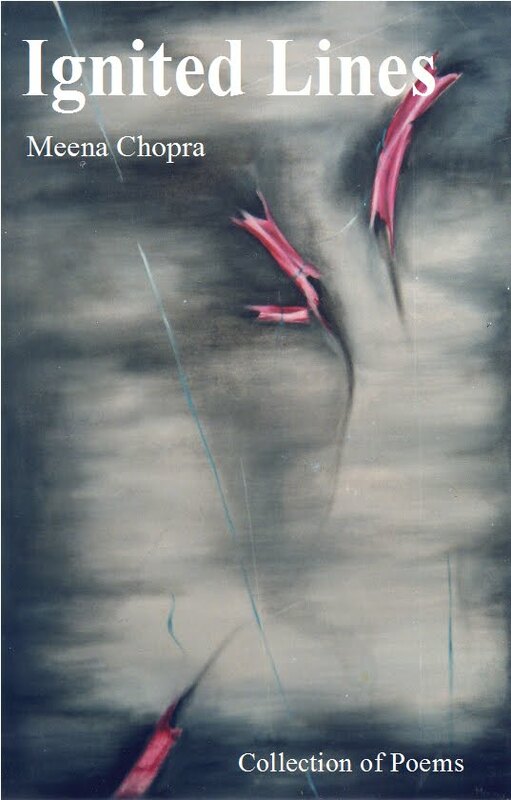 Usually, an abstract painter and a nature poet Meena’s works in this book are semi-figurative female forms which complement her thematic poems on abstract female energy. 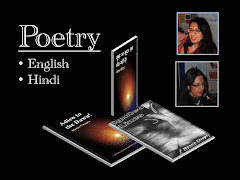 Her poetry has a unique ethereal quality and powerful story-like imagery which engages the reader to unfold the mystique hidden behind each and every work whether a poem or a painting. 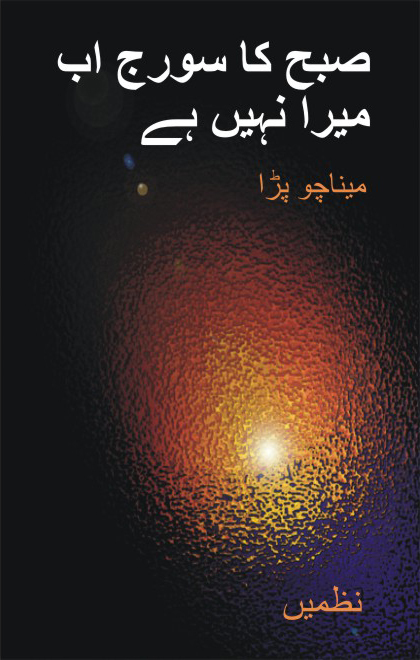 The book is both a visual and reader's delight". 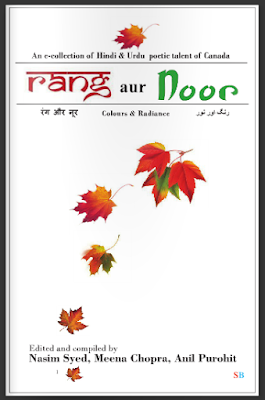 Read eBook of Hindi and Urdu Poems of Canadian Poets: रंग और नूर رنگ اور نور RANG AUR NOOR here for free! 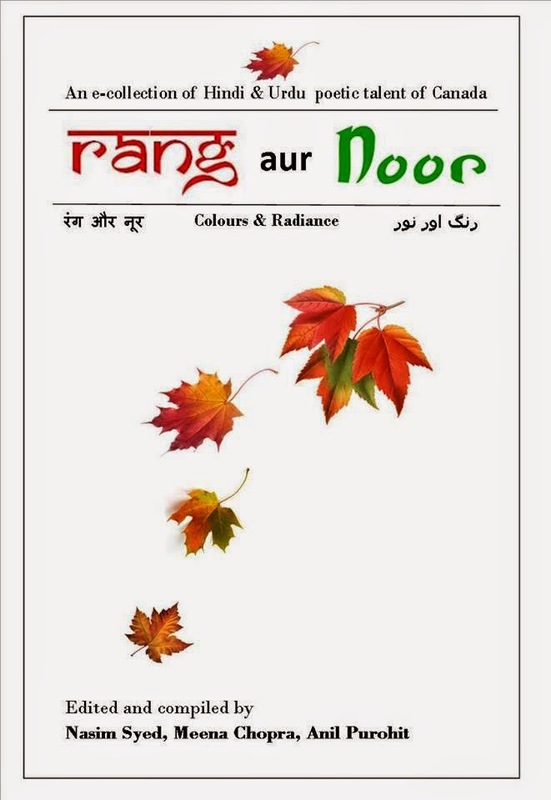 मीना चोपड़ा, अनिल पुरोहित, नसीम सयैद"
1) "RANG AUR NOOR" : Anthology reflecting the Hindi and Urdu poetic talent of Canada, sprinkling their colour and verve, there by enriching the wide panoramic landscape of Canadian ethnic literary arts. 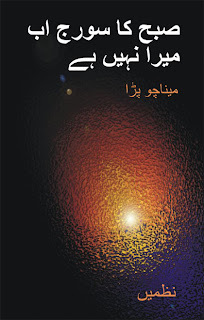 Poems have been transliterated by Alam Khursheed. 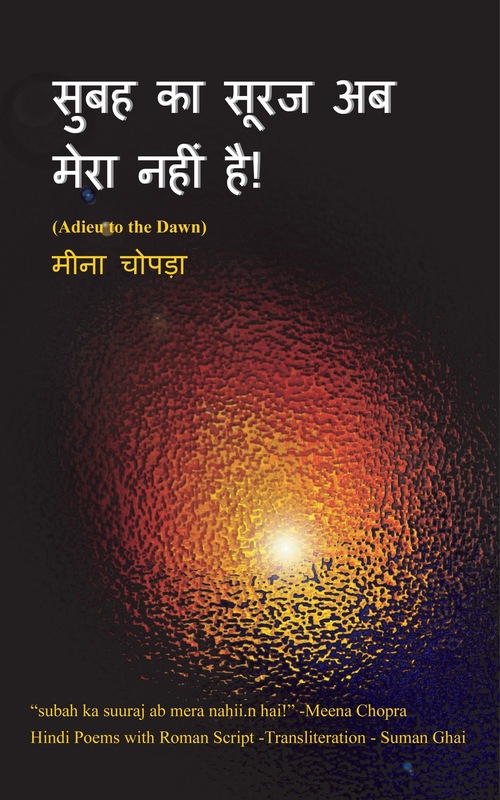 "Subah ka Sooraj ab Mera Nahin hai" (Adieu to the Dawn) (Hindi), "Subah ka Sooraj ab Mera Nahin hai" (Urdu) by, "Subah ka Sooraj ab Mera Nahin hai" (Roman) by Meena Chopra, Urdu transliteration by Nasim Syed. 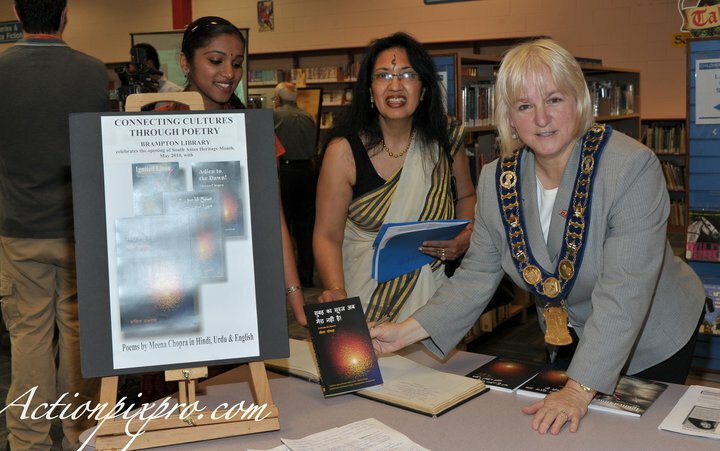 I will be a HUMAN BOOK with 16 other live HUMAN BOOKS at Brampton Library, Chingnacousy Branch on 19th Oct. 2 -3:30pm. 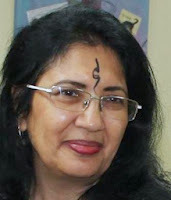 I would love share GLIMPSES OF DIVERSE LIFE with all . 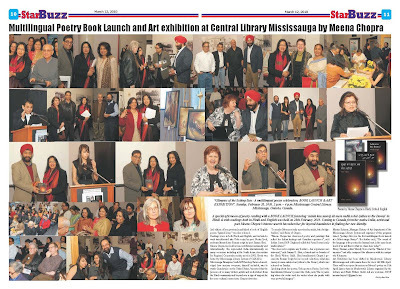 StarBuzz Weekly, Toronto-Brampton Library will be launching its First Human Library event which is planned during the Ontario Public Library Week and is a part of the third annual Library Settlement Partnership Day. 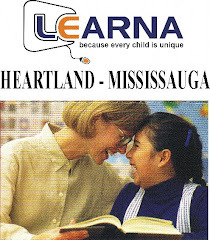 It is scheduled on Wednesday Oct 19, 2011 from 2:00-5:00 pm at the Chinguacousy Branch. Mississauga poet and artist Meena Chopra writes in three languages -- English, Hindi and Urdu. 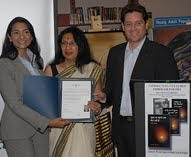 She says the sunsets she sees from the windows of her Mississauga home remind her of her childhood in northern India. Her abstract painting Fireball is in background. When Meena Chopra gazes at sunsets from the window of her Mississauga home, she's transported back to her childhood in northern India. For the internationally acclaimed poet and artist, it's inspiration that has filled countless pages and canvases with colourful words and images. “It was strange when I came to Canada in 2004, I started getting connected to my childhood,” said Chopra, 53. “Canada is so beautiful, such wide spaces, such out-of-the-world sunsets. 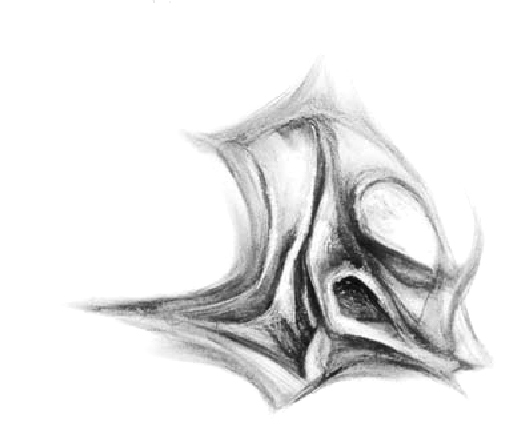 “It touched my creative spirit,” she said. “It's the same sun, the same beauty that nature gives to all of us. 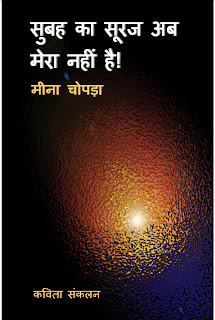 जन्मस्थल नैनीताल से प्रेरित है।Audio of the above poem. 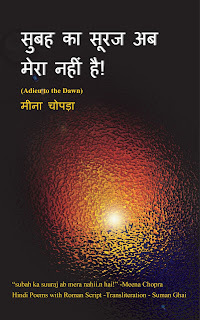 "ग्लिंरपसिज़ ऑफ द सेटिंग सन"
कार्यक्रम के अगले चरण में मीना जी हिन्दी की पुस्तक "सुबह का सूरज अब मेरा नहीं है" की समीक्षा सुमन कुमार घई ने करते हुए कहा कि मीना की कविताएँ आंतरिक हैं। मीना एक चित्रकार है और अपने आसपास के बिखरे रंगों और प्राकृतिक सुंदरता को आत्मसात कर लेती हैं और वह प्रकृति उनके अंदर जीवित रहते हुए उनकी कविताओं में उतरती है। क्योंकि वह अंग्रेज़ी की भी कवयित्री हैं इसलिए हिन्दी कविता में अंग्रेज़ी से आयतित प्रतीकों से कविता में और निखार आ गया है। उन्होंने कहा, "मीना सीमाओं से परे हैं – उनका अनुभव वैश्विक है।"